Elegance abounds in this brick center hall located in one of town's most desirable locations. You will be captivated by the enormous rooms & graceful architectural detail everywhere you go! Classic tall wood paneled wainscoting in LR & DR, arched entries & beautiful HW floors. 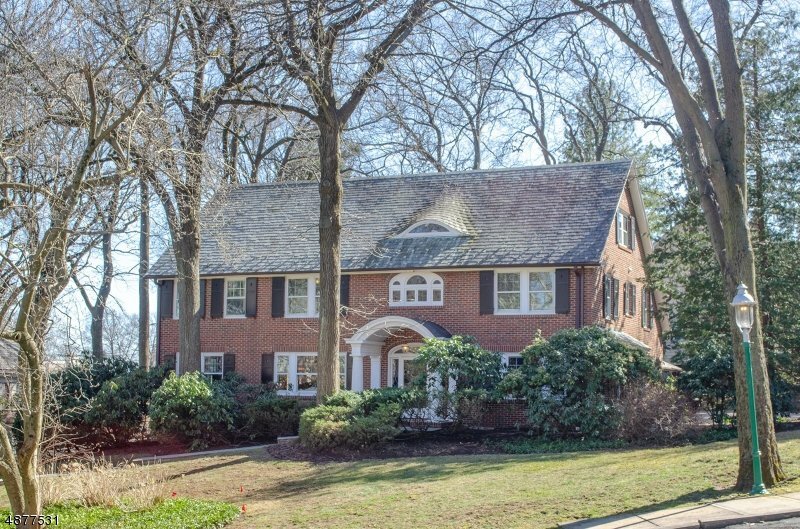 Exquisite WBFP w/ brick surround & detailed wood mantel; State of the art EIK w/ SS appliances & quartz counters offers access to yard & 2 car garage; comfortable den w/French doors to sun filled sun room surrounded by windows. Classic staircase takes you to 2nd floor to find the relaxing master suite w/ sitting area & private full bath, bedrooms 2 & 3 w/Jack-n-Jill bath, bedroom 4 & full hall bath; spacious 3rd floor hosts 2 more bedrooms & full bath. Lower level w/ laundry & lots of storage. CAC. Jitney to nearby NYC trains/town.